Weight: 0,076 kg per pcs. 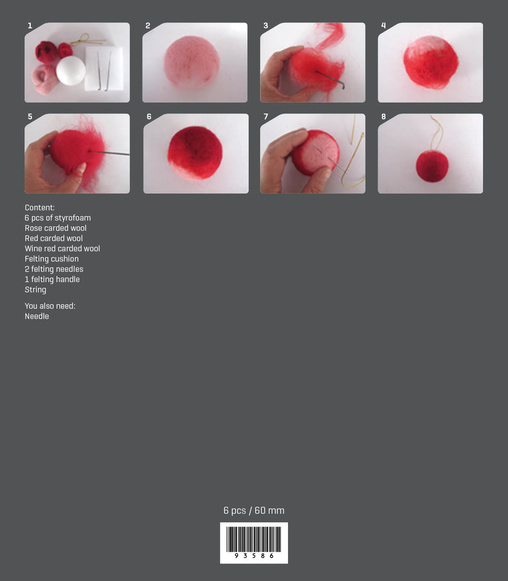 Make your own lovely felted Christmas baubles in reddish tones. 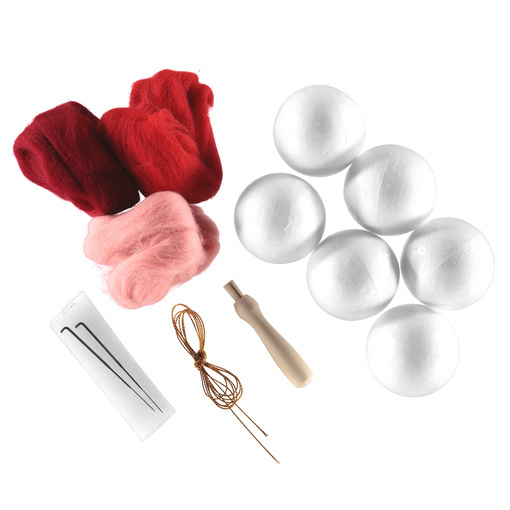 The kit contains wool in different shades of red, a felting needle and a felting cushion plus easy instructions on how to make the baubles. 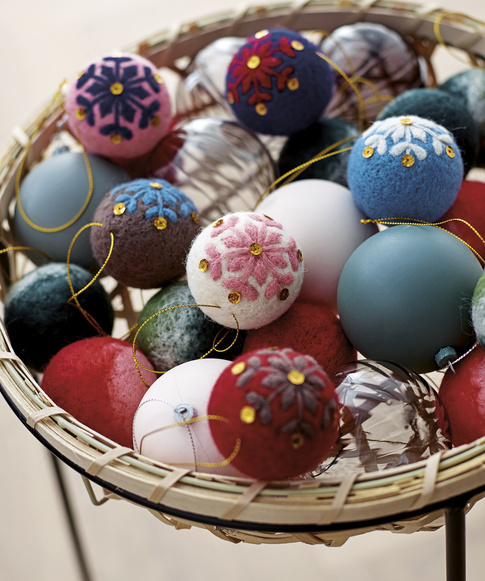 There is material enough for six baubles and with regard to how you would like the pattern on the baubles to be is completely up to you - they could be plain coloured, striped, dotted or however your imagination and skills allow. 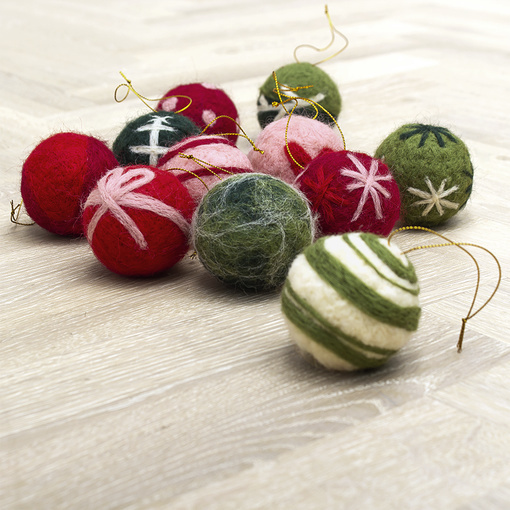 Great to use as tree decorations, to hang in the windows or adorn the table with them. Remember you will also need a sewing needle.